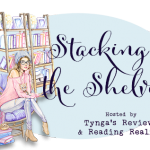 Stacking the Shelves (247) – Escape Reality, Read Fiction! I went overboard, possibly more than will actually appear. 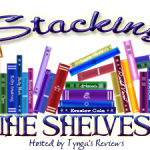 Occasionally I trim the list to force the graphic not to be too ugly, and push a couple/few titles to the next week. One note on this list. I usually listen to one book while at my workouts, while reading one or more others. I tried listening to Skin Game by Jim Butcher, and had to stop. It wasn’t that I didn’t enjoy the book, because I did, and one of these days I’ll finish it, in ebook. But while listening, for me it feels like the actor is telling the story straight into my head. And while I know that James Marsters is a fantastic reader, and that everyone loves his version of Harry Dresden, when he speaks in an American accent his voice sounds exactly like one of my favorite characters in Mass Effect. And the two things don’t go together. Garrus Vakarian should not be reading Harry Dresden, he should be calibrating the big guns on the SSV Normandy II. I know it isn’t the same actor, but it sounds so much the same that I couldn’t cope with the disconnect and had to stop. So far, Killers of the Flower Moon is awesome. And she doesn’t sound like anyone I already know. You have an amazing haul this week, Marlene! Enjoy all your new books! it’s really disconcerting when a narrator sounds too much like another, it does kind of take us out of the story, yeah? 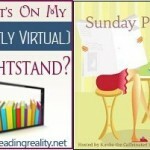 Lexxie @ (un)Conventional Bookviews recently posted..Weekend Wrap-up #198 – oh, the HEAT! There are some well-known narrators who are really good. I love Jim Dale, George Guidall and Barbara Rosenblatt. But they only do audio books. A lot of voice actors do both video games and audio, and it’s really disconcerting. Space opera and urban fantasy don’t mix, especially when I already have a picture in my head! It looks like you got some great ones there, Marlene! 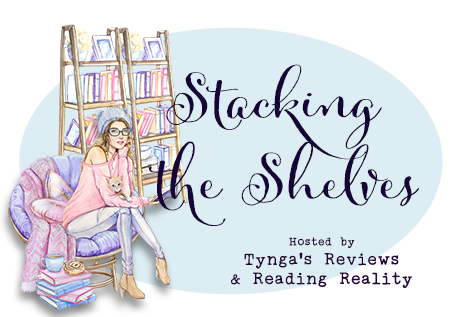 I have both The Rain Sparrow and Radium Girls in my TBR to read. They both sound really good. The Ann Leckie book caught my attention at your mention. I’ve only read Ancillary Justice by the author and loved it. I will have to look for Provenance. Enjoy your new books! Have a great weekend. I have a wanna be literary feline. Freddie always wants to get between me and my book. Does that count? Ann Leckie is just awesome. Provenance is supposed to be set in the same universe as her other books but follow different characters. It should be terrific! What a great haul this week! Lots of new books to keep you busy. I love the Harry Dresden audios but I know that sometimes something about a narrator just doesn’t work for everyone. Glad you moved on to one that does work for you! I feel kind of awful about the whole thing. Everyone LOVES Marsters’ reading of Harry. He was doing a fine job. But he just sounded SO MUCH like someone else, and the pictures didn’t match in my head. Weird. Oh, wow, you got quite the haul! Hope you enjoy all those books!! I still need to try Harry Dresden.